Okay so let's pretend it isn't the last day of October (aka Halloween) and I've only done four Halloween mani's... 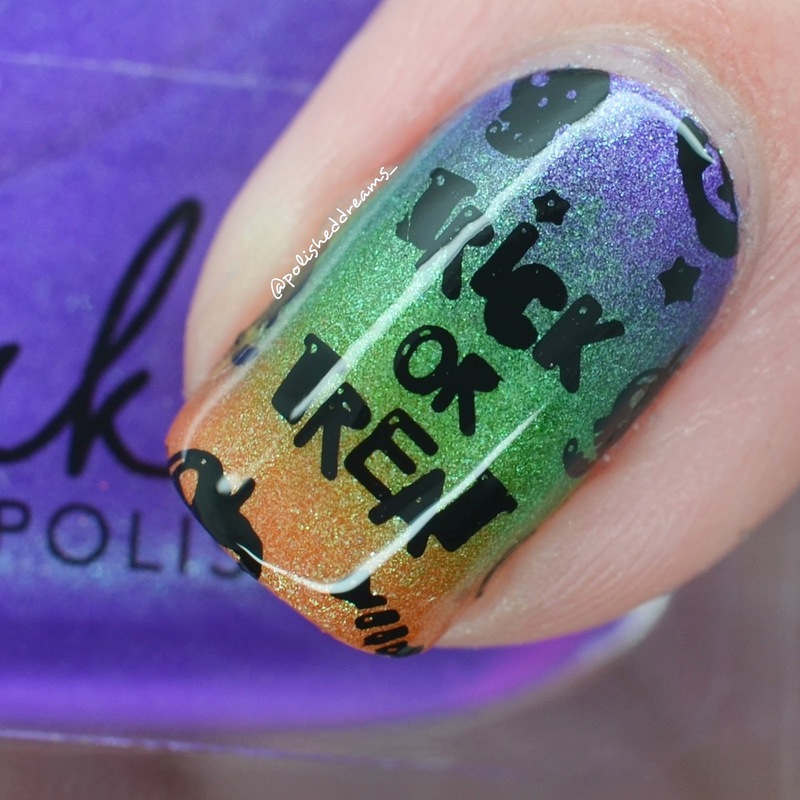 I was SO excited about this month and it's been a total flop in terms of nails. But I won't moan too much because I'm actually pretty happy with the ones I'm sharing today, even if doing them meant I didn't go to bed until 1:30am! 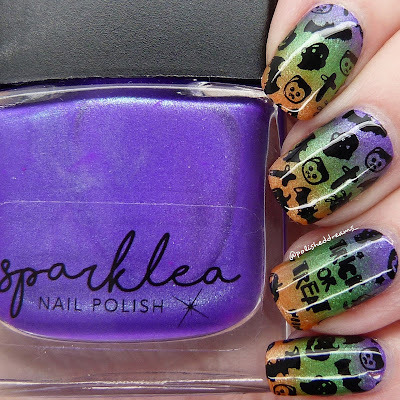 Sparklea Nail Polish released some perfect polishes for Halloween so I just had to use them before my time was up. Let's take a look shall we? Of course the best way to use as many of the polishes as I could was to do a gradient, especially as I recently bought sponges again. I even have a little jar for them now, can't tell you how happy this makes me! It really is the little things isn't it. I used three of the polishes from the Goosebumps Collection and they really are classic Halloween polishes. 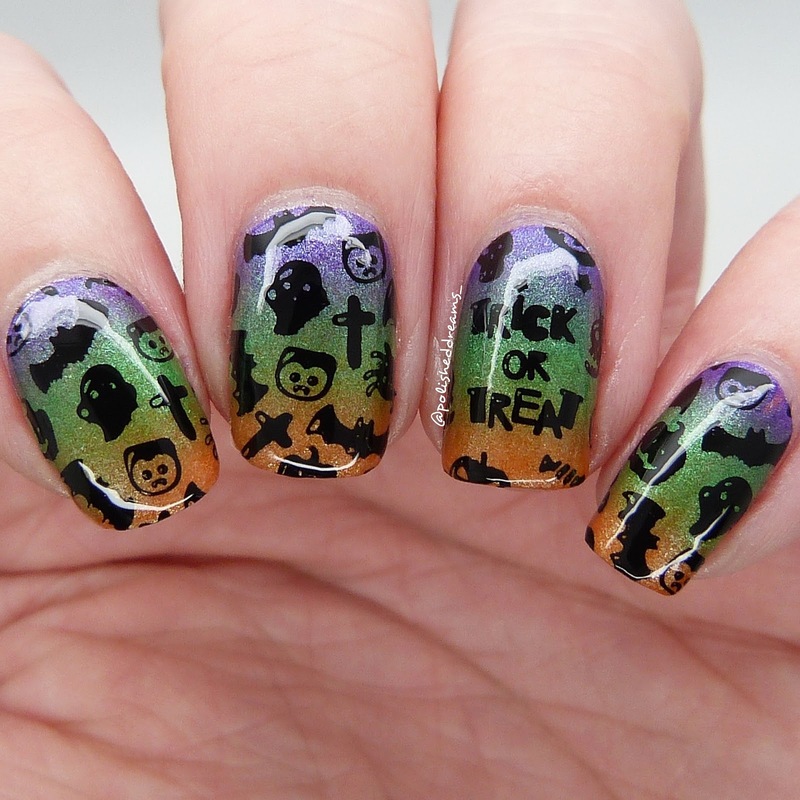 From top to bottom we have 'Welcome to Dead House', 'Monster Blood' and 'Attack of the Jack O'Lanterns'. The best part? These are all still available here for a great price of £6.50. 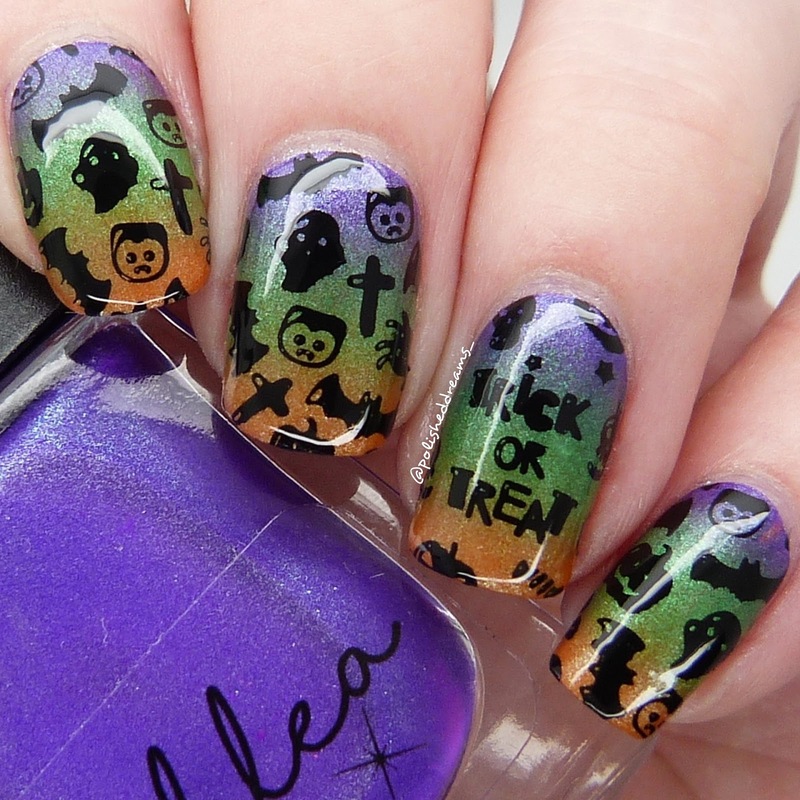 Even though Halloween may be over, they are all still very wearable colours, especially for this time of year. Once I did my gradient, I chose a couple of images from UberChic Beauty's 'Halloween 02' plate (bought from Nail-Artisan) and stamped with Born Pretty Store black stamping polish (item #22322) and my trusty Nail Artisan Clear Jumbo Stamper. To finish, I smoothed it all out with a coat of Don't Dangle About topcoat from Danglefoot Polish. I hope you've all got exciting plans for the evening, whether it's Halloween related or not! I'm going to be watching the finale of The Great British Bake Off with my housemates and then possibly going out for a Halloween party. At the time of writing this post I have no idea what I'm going to be dressing up as but I'm sure I'll figure something out. What have you guys dressed up as for Halloween this year?